Following our OCR Kit List – 4 things to take and 4 things to leave at home blog, we’ve now got tips on how to face your fears and overcome obstacles which you find intimidating. With such a wide variety of obstacles over the 10km course you will no doubt find one or two which test your nerve, strength and commitment. Some competitors fear heights and some the cold. Others worry about that feeling of lack of control as they speed down a slide or shoot. Most competitors will have an Achilles heel, a point of weakness. But fear not. 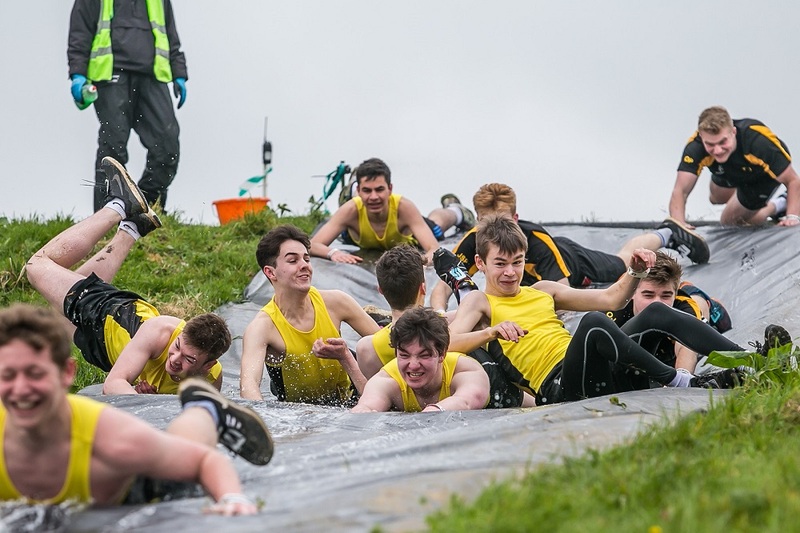 There are two major advantages obstacle course racing has over other types of racing. Firstly, you are not out there alone. Helping each other out, lending a hand or supporting your fellow competitor works to your advantage. What goes around comes around. They help you on one obstacle and you will be able to help them out on the next. A second bonus is that very few of you will be in it to win it. Most of you are there for the fun. That makes ‘time’ irrelevant. No one will ask when you finish how long you took. Instead they will focus on the size of your smile as you cross the finish line and the hilarious stories you tell over a beer! Assess – Look for things that might help like hand holds or foot supports. Is one side easier than the other? Is one side muddier or really wet and slippery? If so, avoid it. Plan your attack. Admire – Watch how others are attacking it. See what is working and what is not. Accept – this one isn’t for you. Bypass it and don’t look back. Take the hit and continue on your journey. The next obstacle will need all your attention and it’s only around the next corner!